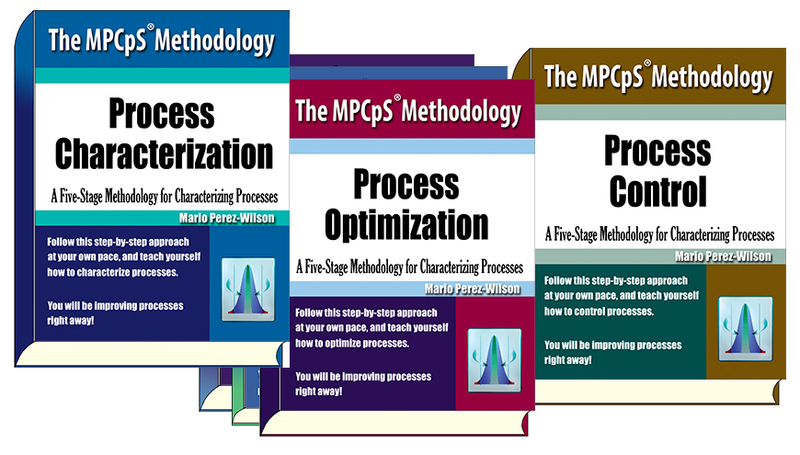 M/PCpS is comprised of five volumes and over 1800 pages of copyrighted training materials. 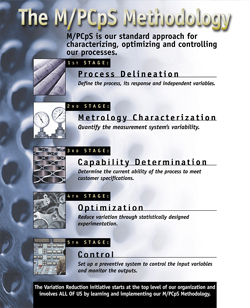 M/PCpS® places an order on how to apply statistical methods in manufacturing processes with the objective of identifying, reducing or eliminating its major sources of variability. Define the process, its boundaries and functional characteristics, response variables, independent variables and their inter-relationships. Define the measurement system needed to evaluate the responses and quantify its variation. Determine the current ability of the process to meet customer specifications and predict its stability, capability and Sigma performance at the process' optimum levels. Reduce the sources of variation through statistically designed experimentation and optimization techniques. Set up a complete system of preventive control for the independent variables. Mistake-proof the process against defects and monitor the response variables. © Copyright, 1995-2019, Advanced Systems Consultants. All Rights Reserved.